"The Girl That Was Kidnapped." 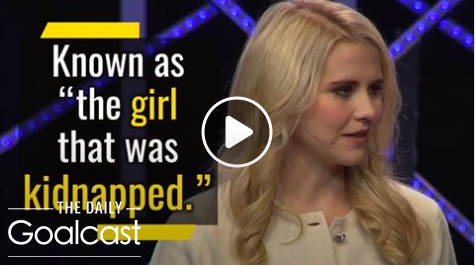 Kidnap victim Elizabeth Smart shares a message with the world. This is her message about being at peace with her past and finding her power back. Leaner more about this amazing women. *PLEASE NOTE THAT THIS FORM DOES NOT CONTACT ELIZABETH DIRECTLY. THIS FORM IS FOR PRESS AND EVENT INQUIRIES ONLY. FOR HELP OR TO REPORT ABUSE, RESOURCES FOR RECOVERY, OR A PLACE TO SHARE YOUR STORY, PLEASE VISIT THE RESOURCES BELOW. Do you want to get in touch with Elizabeth? Previous Podcast – What is the BHN all about? Copyright BeHeard Network© All rights reserved. | CoverNews by AF themes.